Phil Ivey needs no introduction. If you are even a casual fan of poker then you surely know who Phil Ivey is. Ivey is often regarded as the best all-around poker player in the world, not only by fans of the game, but also by his peers. When you look at his results, you can't really argue with this assertion - he has enjoyed an incredible amount of success in both tournaments and cash games. 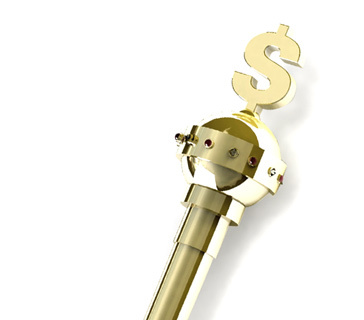 Most often a really good tournament player will not fare well in cash games, and vice versa. Ivey is one of the few players who has consistently beaten the "Big Game" while enjoying tournament success at the same time. 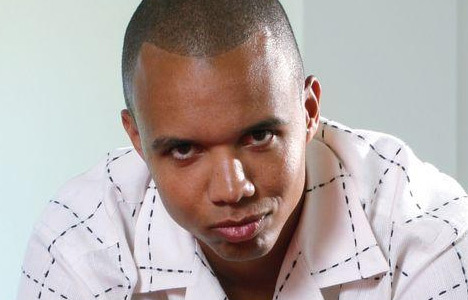 Phil Ivey was born on February 1st, 1976 in Riverside, California. His family moved to New Jersey when he was just three months old. This is where Phil Ivey would grow up and learn the game of poker. He was introduced to the world of gambling by his grandfather. When Phil Ivey was eight years old, his grandfather pulled out a deck of cards and taught his grandson how to play five card stud. They were playing for pennies a hand. Phil Ivey was instantly hooked, and the love of gambling never left his blood. 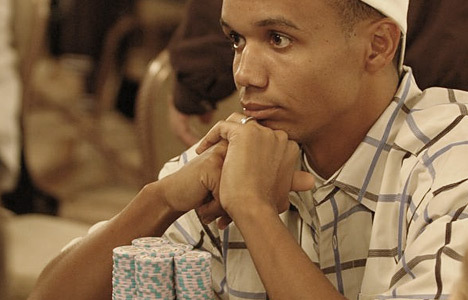 Phil Ivey had a love of gaming that continued to grow throughout his childhood. Not only did he possess a love for cards, but he also had a passion for video games which still exists today. By the time he was 16, Phil Ivey was a regular in a home poker game that was hosted by his friend's father. Ivey was a great deal better than everyone else at the table and soon got tired of taking all of their money. He lusted for a bigger challenge, and soon set his eyes on Atlantic City. When his family and teachers asked him what he wanted to be when he grew up, Ivey would confidently respond "a professional gambler". At the age of 18, Phil Ivey obtained a fake ID and would regularly make the trip to Atlantic City. 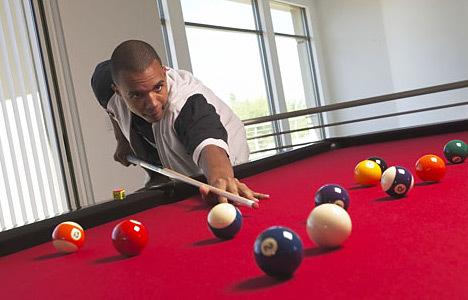 He became a fixture at the tables, inspiring his first nickname of "No Home Jerome". 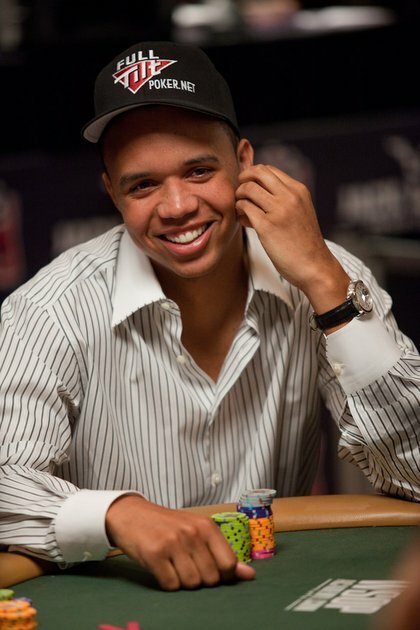 The name on Phil Ivey's fake ID read "Jerome Graham", and the "No Home" part of the nickname referred to the fact that Ivey seemingly never left the tables. If you think that Ivey immediately started beating these games in Atlantic City, then you would be wrong. He initially lost money but kept at it and eventually turned into a profitable player. He often tells other players that the best way to improve your game is to just put in the hours. After putting in many hours at the Tropicana Casino in Atlantic City, Ivey became a profitable player and built the foundation for a successful poker career. 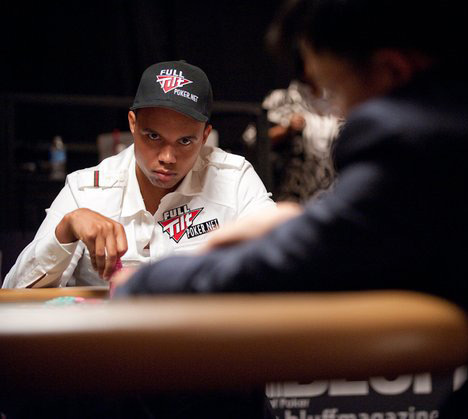 At the age of 20, Phil Ivey moved to Atlantic City so that he could be closer to the games. Less travel time would mean more time at the tables. When he turned 21, Ivey walked into the Tropicana Casino and told the shift manager that his name was actually Phil, and not Jerome. The shift manager just laughed it off as Ivey was a well-liked and respected client of the establishment. Exit "Jerome Graham", enter Phil Ivey. Ivey's humble nature and constant thirst to learn about the game of poker endeared him to many other poker pros. He quickly became friends with the likes of Barry Greenstein, who eventually introduced Ivey to the "Big Game" in Las Vegas. Ivey was impressed by the lifestyle that Greenstein was living and wanted to enjoy the same level of success. Over the years, Ivey built up quite an impressive resume in both tournament and cash game play. Barry Greenstein once remarked that Phil Ivey was the best tournament poker player in the world, and the only player to successfully transition from tournament poker to beating the "Big Game". Let's talk about Phil Ivey's success in tournament poker first. Ivey has over $26 million in total live tournament cashes, putting him in the #10 spot on the all-time money list. This comes despite the fact that Phil Ivey is rarely seen in poker tournaments, as he prefers to take part in cash games and other types of gambling instead. If Ivey were a regular on the tournament circuit, there is practically no doubt that he would be challenging Justin Bonomo and Daniel Negreanu at the top of the all-time money list. He once remarked that his goal was "30" World Series of Poker bracelets, though with certain recent events taking place (such as losing his lawsuit against the Borgata), I highly doubt that he will be able to pull this off. Ivey had pocket nines and Chris Moneymaker held A-Q offsuit. The flop came q 6 q, giving Moneymaker trip Queens. The turn brought a 9, giving Phil Ivey the full house. The players got all of their chips in the middle. The river brought an Ace, giving Moneymaker a full house and eliminating the best player left in the tournament. Moneymaker went on to win (as you all know). In 2009, Ivey made the "November Nine" final table, eventually finishing in seventh place for $1,404,014. These weren't the only times that Ivey went deep in the Main Event. He finished 23rd in 2002 and 20th in 2005. Phil Ivey has also had a great deal of success in World Poker Tour events. He has 13 cashes in WPT events and a ridiculous nine final tables. His streak of eight final tables after cashing was halted at the 2008 World Poker Challenge. Ivey took down his first WPT event at the 2008 LA Poker Classic. Prior to this, Ivey had made 7 World Poker Tour final tables without actually winning. Ivey cashed for $1.596 million dollars in this event. He also has three cashes in EPT events - his best cash came at the 2006 EPT Barcelona Open where he finished in second place for $470k. Phil Ivey also has a number of other notable tournament victories, including a win at the 2005 Monte Carlo Millions for $1 million dollars and a first place finish at the $120k No Limit Hold'em Full Tilt Poker Invitational for $600k the very same week. As you can see, Phil Ivey has done very well for himself on the tournament poker scene. He is only 42 years old and he generally prefers to play cash games instead of tournaments, which makes his accomplishments all the more impressive. As mentioned, Phil Ivey is one of the top cash game players in the world. He has been a fixture in the "Big Game" and massive cash games in Macau for years and has been one of the biggest winners in the game. He was also one of the biggest winners on Full Tilt Poker, as he reportedly made well over $10 million on the site during its existence. Ivey had a memorable battle with billionaire Andy Beal a few years ago. Ivey, along with a group of other professional poker players that called themselves the "Corporation", battled Andy Beal in an ultra high-stakes game of Limit Hold'em that stretched out over several years. Andy Beal was a math genius and developed a "perfect" method of playing Limit Hold'em that would involve giving off no tells at all. He had every move perfectly timed and played the game according to a strict plan that he had devised for himself. As mentioned, this battle took place every time that Beal found himself in Las Vegas. Phil Ivey "finished" the battle in early 2006. On February 5th, 2006, Beal dropped $3.3 million dollars to the "Corporation". He returned about a week later and went on a massive heater, beating the group of professionals out of $13.6 million dollars over four days. The "Corporation" decided to put their best player into the action, hoping to recoup at least some of their losses. Phil Ivey stepped into the game with the blinds at $30,000/$60,000. Eventually the blinds were increased to $50,000 / $100,000. When all was said and done, Ivey had single-handedly erased the $10 million dollar deficit and actually gained an extra $6.6 million for the "Corporation". All told, Andy Beal dropped $16.6 million dollars to Ivey over a three day period. This setback resulted in Beal leaving Las Vegas, claiming that he would never play poker again. Ivey loves this kind of high stakes action. He is known to risk large amounts of money betting on sports. He loves to play high-stakes golf and he also loves to make high-stakes prop bets with his friends (one particular wager saw him bet Erick Lindgren $200k that Lindgren couldn't golf 72 holes in one day at Bear's Best, while walking the course, while playing in 100 degree weather, while shooting from the pro tees, while shooting less than 100 every round. Lindgren won the bet). Ivey just loves to gamble. He is reported to have won $70,000 from Andy Beal simply flipping coins. Ivey will bet on anything and everything. According to those who know him, Phil Ivey is an "old-school" gambler who follows a certain code that some of the "new-school" gamblers might not follow. Doyle Brunson recently illustrated an example. After Chip Reese died, Phil Ivey called Doyle up and said that he had owed Reese a substantial sum of money, and was wondering who he should send it to. Brunson said that most people would have kept quiet about the debt and let Reese take knowledge of the debt to his grave - Ivey wanted to make good on the debt. It is this type of "code of ethics" that has always endeared Ivey to some of the "old-school" players such as Doyle Brunson. Phil Ivey also has a number of friends outside of the poker world, including "Ja Rule" and "Irv Gotti". When Irv Gotti was on trial a while back, Phil Ivey flew out to New York to support his friend. Ivey divorced his wife Luciaetta in late 2009 after seven years of marriage. Ivey is also involved in numerous charities. After winning his first WPT title in February of 2008, Ivey donated $50,000 to Empowered 2 Excel, which is a Las Vegas based Christian Academy. He has also announced that he is forming the "Budding Ivey Foundation" which will give to various charitable causes. 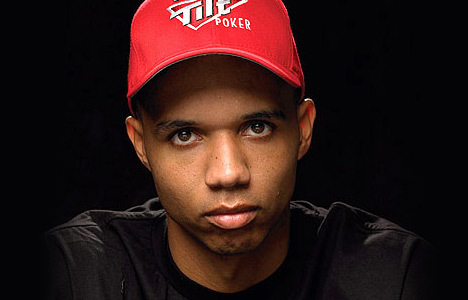 Phil Ivey was one of the original members of "Team Full Tilt" and was reportedly receiving over $900,000 per month from the site during its peak. The crash of Full Tilt Poker obviously dented Phil Ivey financially, though he doesn't seem to have slowed down his gambling at all. Things haven't been going as well for Phil Ivey over the past decade or so. As mentioned, his stake in Full Tilt turned worthless overnight following the events of "Black Friday". After that, Ivey tried to start various business, including "Ivey League", though none really took off. Phil Ivey would end up losing two very expensive lawsuits to Crockfords and Borgata. Ivey won roughly $20 million combined from the two casinos while playing Punto Banco. Crockfords would refuse to pay out Ivey's winnings, claiming that he was cheating by using "edge sorting". Borgata caught wind of this and ended up suing Ivey for roughly $10 million as well. The Borgata is still chasing their money, as they are currently scouring both New Jersey and Nevada for any of Ivey's assets. Crockfords, on the other hand, returned Ivey's original stake and refused to pay out his winnings. Given that the Borgata is owned by MGM, which also owns the Aria, the name on "Ivey's Room" at the Aria was changed to "Table 1". Ivey is largely out of the spotlight right now, though he does turn up for some Triton Poker events, and is apparently a regular in the high stakes cash games in Macau.